Dr. Menzies to serve as co-program chair for Symposium on “Search-based Software Engineering. 2017”. 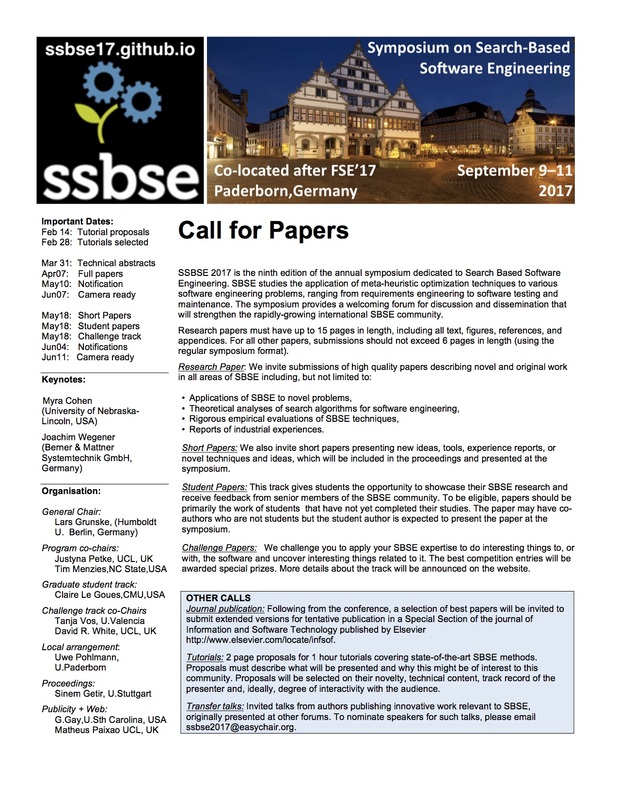 Find the flyer to SSBSE’17.